Rick’s practice focuses on the defense and counseling of clients on complex civil matters, including product liability, construction, real estate, commercial, employment, environmental, general liability and recreational cases. Rick has consistently been recognized as one of the top civil litigators and trial attorneys in Massachusetts. He is an experienced trial attorney who, for over three decades, has handled cases throughout New England and who has successfully tried jury and non-jury cases in both state and federal court. Rick has also argued numerous appeals before the Massachusetts Supreme Judicial Court and the Massachusetts Appeal’s Court . For the past ten years, Rick’s practice has earned him elite recognition by his peers as both a “Massachusetts Super Lawyer” and a "New England Super Lawyer." He also is privileged to have been awarded the highest “AV Preeminent” peer review rating afforded by Martindale-Hubbell. 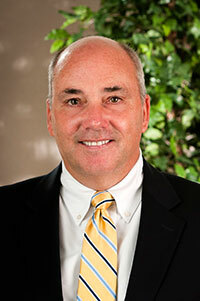 In addition to his trial and litigation work, Rick was honored to be selected as the only area defense attorney agreed upon by both the plaintiffs and defendants to serve as an arbitrator in the recent arbitration of landmark sexual abuse claims against the Catholic Archdiocese of Boston. Rick has authored a chapter in the Massachusetts Tort Law Manual on the Preparation of the Defendant’s Case. In addition, his article, "The Intelligent and Efficient Use of Discovery" was selected for republication by Massachusetts Continuing Legal Education in The Best of MCLE Journal. Rick also published an article in the Suffolk University Law Review. Prior to joining Hamel, Marcin, Dunn, Reardon & Shea, Rick was the founding attorney and managing partner of Melick, Porter & Shea.